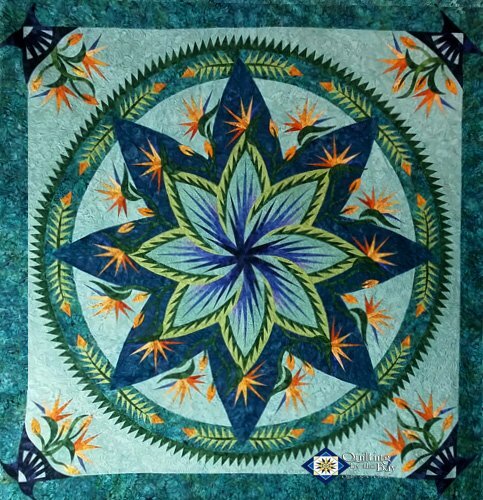 The Paradise in Blooms is Judy Niemeyer’s third Technique of the Month (TOM) quilt, published in 2015. The goal of our technique of the month program is to design quilts that incorporate a wide range of Judy’s techniques to be taught by the Certified Instructor program and Certified Shops and familiarize quilters with Judy's techniques in a manner that will allow them to pick up any of her patterns and successfully complete them after they have completed one of the TOM patterns. The Paradise in Blooms pattern includes complete instructions, pre-printed foundation papers and a Stick and Peel applique kit to make a 76" x 76" quilt.